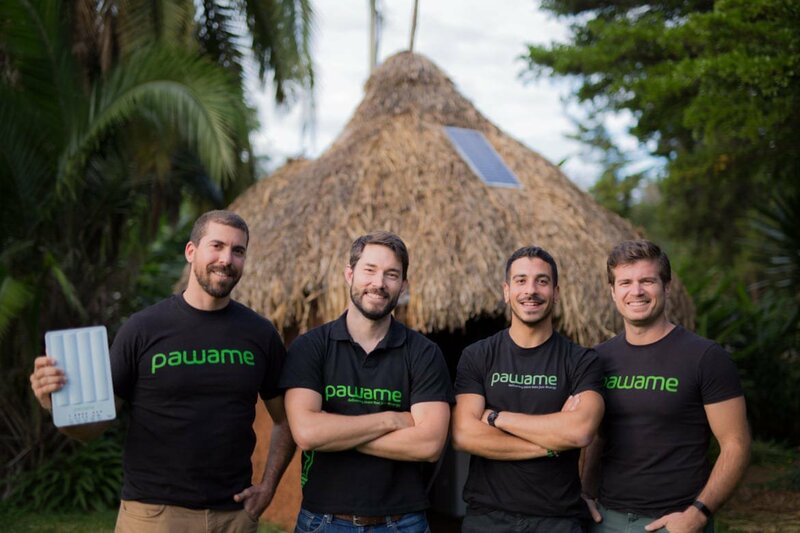 Pawame is collecting expressions of interest in investing through our upcoming equity crowdfunding campaign! Limited time only. Click here to learn more. 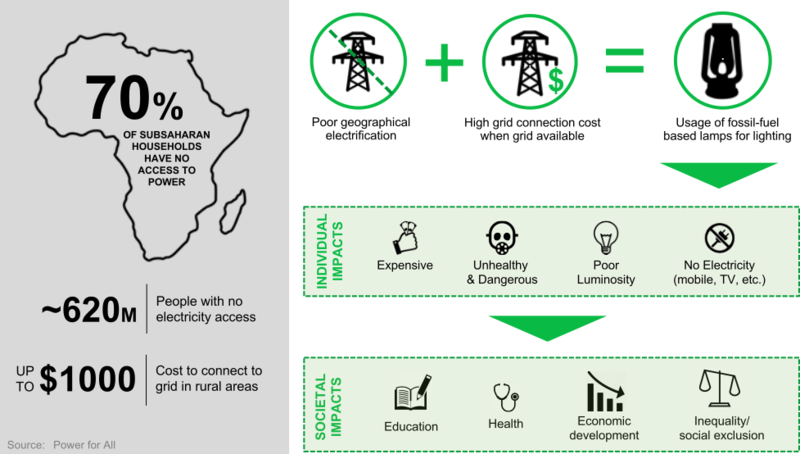 To provide energy access as a gateway to enhancing the quality of life of off-grid communities in Sub-Saharan Africa (150 million households). 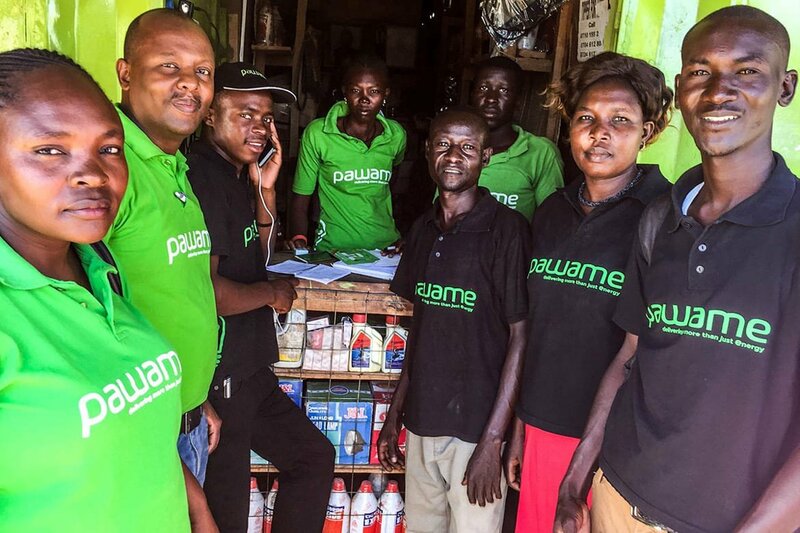 Pawame, Headquartered in UAE and with operations in Kenya, is an off-grid home solar company aiming to electrify the 150 million households (70% of the population) in sub-Saharan Africa that don’t have access to grid power. 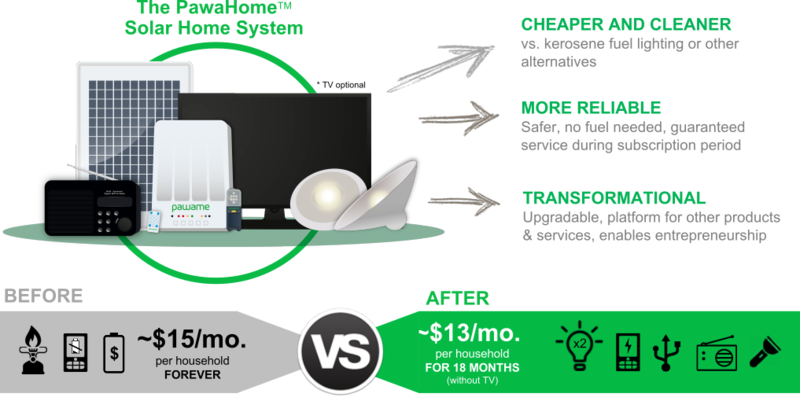 Our solar home systems are capable of leapfrogging traditional power lines and offer an innovative, affordable rent-to-own, pay-as-you-go business model. 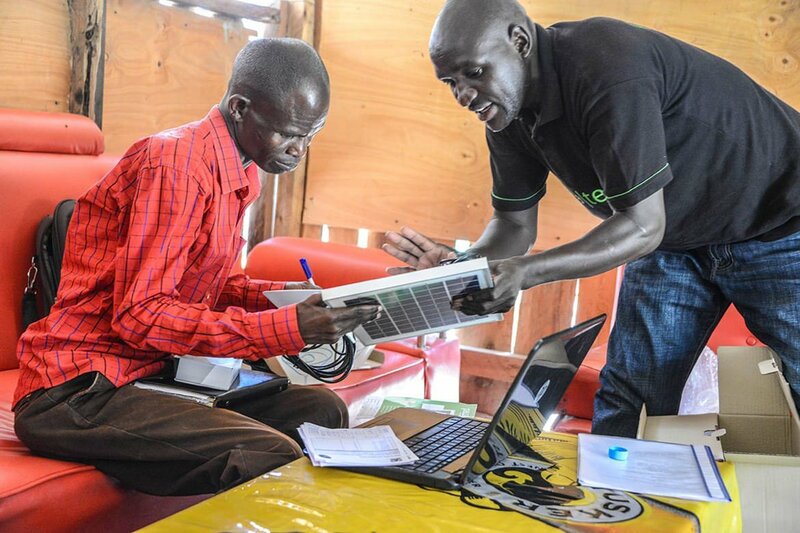 Our goal is to use our PAYGO platform, customer relationships and data to offer life-changing products and services like electrical appliances, micro-insurance, education loans, and remote health services, thereby making a meaningful contribution to global poverty alleviation. 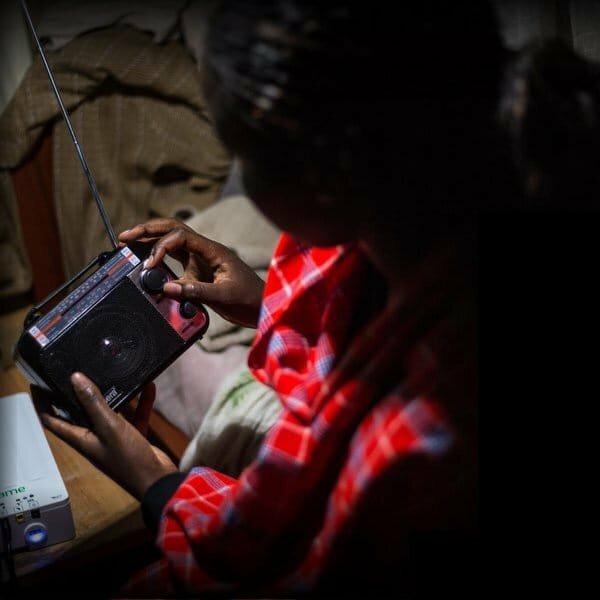 We finance our Smart Solar Kits and accessory devices such as lights, radio, and TV and spread the cost to the consumer through an affordable monthly subscription plan, paid via existing mobile money platforms. Our solution is cheaper & cleaner than currently used energy sources, and enables a direct communication channel to our customers, allowing continuous monitoring for a better service. 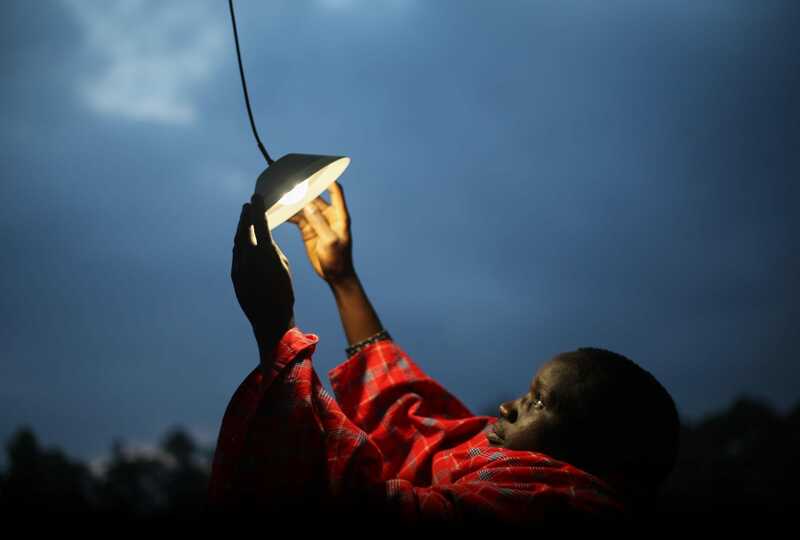 Give 200,000 people the opportunity and benefits that arise from daily energy access. Leading to significant social and economical improvements to those consumers. 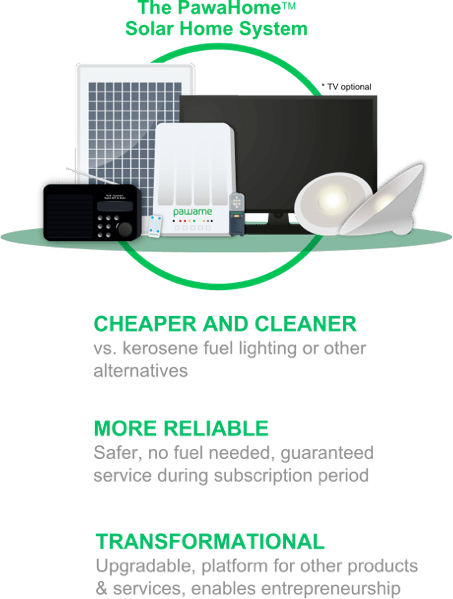 Increase the use of solar power over kerosene leading to cost savings, but more importantly, huge long term health benefits with the reduction of some 12,000 tons of CO2. 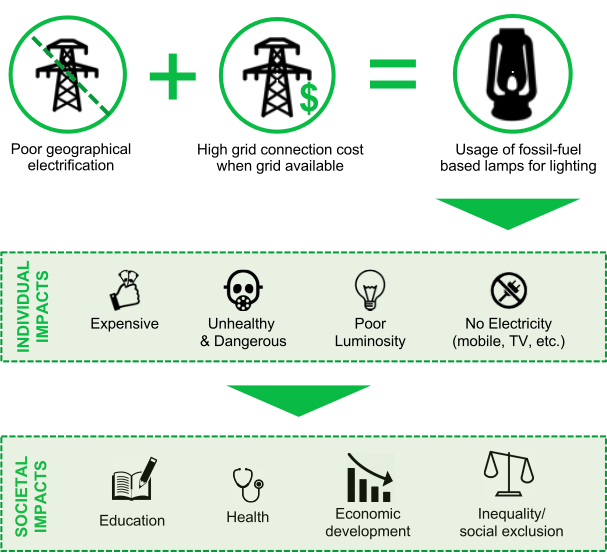 Impact the community through electrification and the ability to educate and enhance communication with a potential of 250 million extra hours of light for study. Encourage job and wealth creation within local communities leading to increased prosperity. 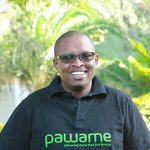 Pawame itself will create 500 jobs directly. 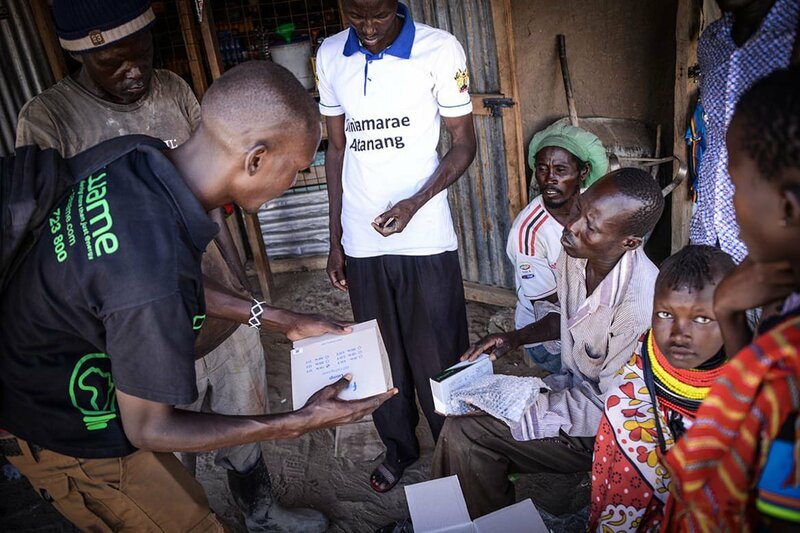 Improve the local business environment through its use of mobile money for all transactions. This enhances financial availability, accountability and reduces fraud risk. Provide adjacent products and services that bring further development opportunities. TV, refrigeration, internet, school and agricultural loans are all potential offerings in a market valued at over $1 billion USD. 20+ years combined energy, consumer marketing, entrepreneurial and nuts & bolts leadership experience in the Gulf and abroad. Over 10 years’ experience in the corporate sector, having held roles in Europe, Middle East, Africa and Asia. Masters in Electrical & Electronic Engineering, Bristol University, UK. A passionate Industrial Engineer and Msc. in New Energy Technologies with 8+ years experience in complex process and systems optimization. Msc – New Energy Technology, Technical University, Berlin; B.Eng – Concordia University. 13 years of leadership in developing, managing, re-structuring ventures & businesses. Former GM & Co-founder of SUN & LIFE, part of ACWA Holding (solar leader in the Middle East). 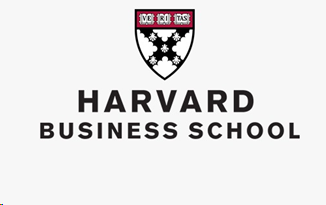 eMBA Harvard Business School; MS ESSEC, Master in Electronics Engineering at ESIEA, Paris. 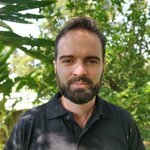 Since 2003 Nil has been the CFO in high-tech, Internet and media companies, such as Luxoft, Asteros, Game Insight, Esforce. Nil was born and raised in Moscow, Russia. Higher School of Economics (Moscow) with M.S. in Economics with additional studies in Paris University of Sorbonne. 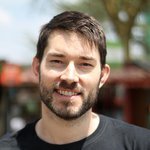 Experienced talent development and management leader with extensive team leadership experience in Uganda, India, and Kenya. BCOM, Ndejje University, Kampala Uganda. Seasoned FMCG, sales & marketing professional, with extensive experience in retail, corporate, key accounts, and business development. A customer focused leader with a natural ability to build new business and forging loyalty with clients, vendors and external business partners. Consummate marketing professional with over 8 years experience in managing various commercial functions namely FMCG, sales, distribution, logistics, brand development and digital marketing. 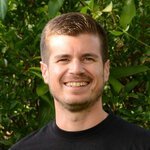 Alex has over a decade of international entrepreneurship experience across Europe, the Middle East, and Africa. 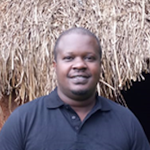 Alex is an advocate of renewable energies and has deep expertise in solar value chains. 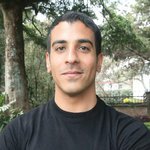 He developed and built solar energy projects in the MENA region through his previous startup Sun & Life (Saudi Arabia) and Acwa Power (largest energy and water developer in the MENA region). 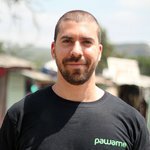 A natural leader and social innovator, he set his sights on the immense energy deficit in Africa and seeks to expand access to off-grid communities across the continent. Alex earned an eMBA from Harvard Business School, MEng from ESIA, and a Specialized Masters in Strategy from ESSEC. 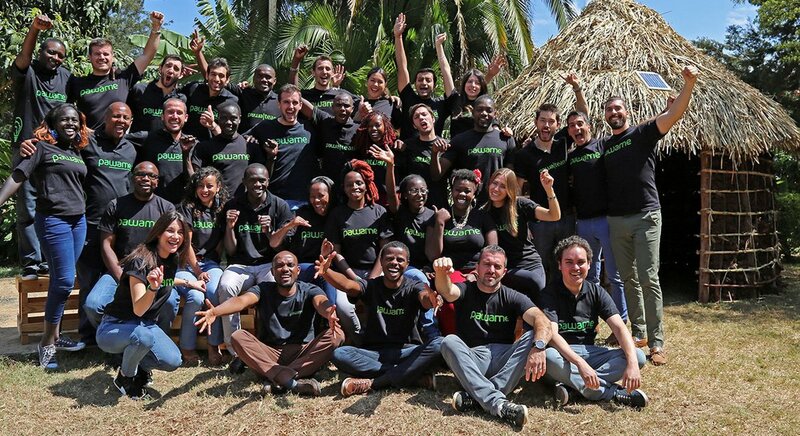 Frida is an independent investment consultant, with a hands-on approach, who advises early stage ventures and investors operating in East Africa. 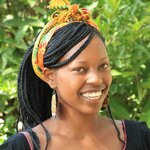 She has worked in East Africa since 2012, focusing on early stage investments in the energy, tech, finance, and retail sectors. She previously served as the East Africa Director of Persistant Energy Capital, a VC firm that focuses on high-growth companies in the off-grid energy sector in Sub-Saharan Africa. 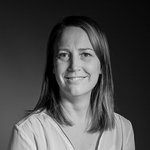 In her early career, Frida worked as a hedge fund analyst at North West Capital Partners in London and as a portfolio manager for the SEB Group in Frankfurt am Main. She holds a Masters of Science in Finance and Economics from the School of Business and Commercial Law in Gothenburg. Abdullah has over 30 years experience in strategic and operation management through various posts in the GCC. Since 2009, he has been the MD of Qudra Energy and sits on the boards of several international corporations (Saudi Airlines, Emaar, etc.). 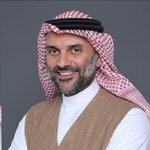 From 1993 to 2007, Abdullah was Middle East GM and Regional Executive for GE Energy, where he led their operations, sales strategy, and growth initiatives across the entire GE Energy portfolio. He also served as the CEO of Hail Economic City, one of five Economic Cities launched by the Saudi General Investment Authorities to diversify regional economies across Saudi Arabia. He specialized in applied electrical engineering at KFUPM, where he did his graduate studies.